We welcome all people at Mosaic, and we believe each person plays a vital role in Jesus’ Kingdom. Our process of mobilizing and equipping the community of Christ into a lifestyle of hospitality looks a lot like the story of two travelers on the road to Emmaus (Luke 24:13-35) who encounter Jesus. First, Jesus is a stranger, an outsider to them; then he becomes their guest over dinner; then, in breaking the bread, Jesus proves he is the host of the party. 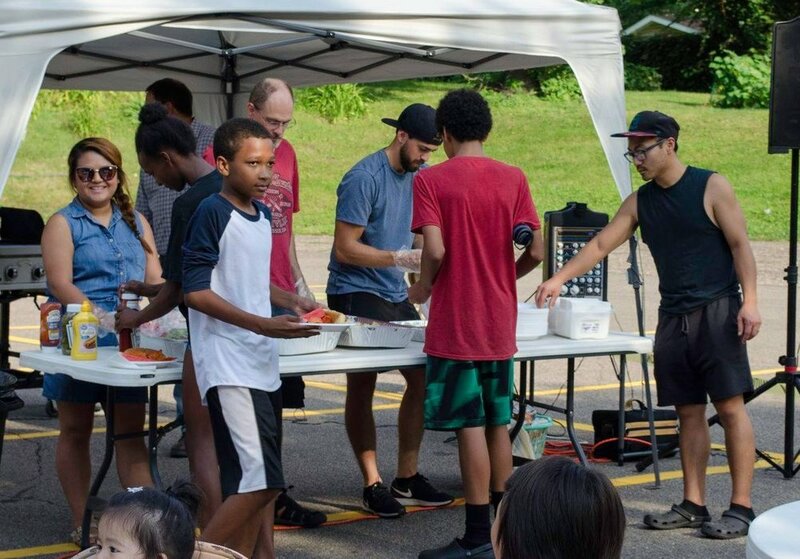 From our annual Easter Eggstravaganza to our Trunk N Treat, our weekly summer Block Parties and our regular Community Nights, we have a lot to offer our neighbors — and you don’t even have to step foot into a church building. Our calendar has all of our community events listed. Every Tuesday night in the summer, we throw a Block Party in our parking lot; every Halloween night we provide a safe place for kids and families to come get candy; and the Saturday before Easter we host an egg hunt with 30,000 eggs. Part of living in a community of hospitable, Jesus-loving believers is growing together with them. We regularly offer classes and meals as additional teaching methods to our 11 a.m. Sunday services. If you’re interested in learning more about our current small group offerings, please contact us. You can learn more about these groups each Sunday morning, too! Real spiritual growth comes by being plugged in, held accountable by others and being committed to a lifestyle that puts love for God and love for all people ahead of anything else. We want to make disciples of all nations, and we start here.